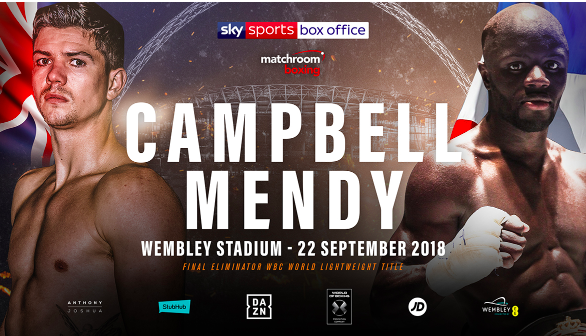 Campbell vs Mendy – Repeat Or Revenge? 2012 Olympic Gold Medallist and poster boy Luke Campbell, saw his serene progress derailed in December 2015 when unheralded Senegalese Frenchman, Yvan Mendy dropped and outpointed the Hull man at the O2 Arena, London. This Saturday the pair clash at Wembley Stadium on the Joshua v Povetkin undercard for much bigger riches this time, in a final eliminator for the WBC Lightweight Title, currently held by Mikey Garcia. Here I preview the contest. The stakes are high at the National Stadium this weekend as Luke Campbell attempts to avenge a previous loss, and more importantly, become the front-runner for a shot at the WBC Lightweight Title. In his way stands the ever-improving Yvan Mendy, who attempts to repeat his shock win over Campbell from 2015. Campbell was a standout amateur, with his hard work resulting in striking Gold at the 2012 Olympic Games in London, defeating Irishman John Joe Nevin in the Bantamweight final. He would turn professional in July 2013, in his home City of Hull at Craven Park, the home of Hull Kingston Rovers Rugby League, stopping Andy Harris in under 90 seconds. He would fight three more times in 2013, and five times in 2014, all ending in easy enough wins, all but two by knockout. Two easy stoppage wins kicked off 2015 before he met domestic and local rival Tommy Coyle in August of the same year. Campbell was far too slick for the teak-tough Coyle, knocking him down in the second, and three times in the tenth before the fight was waved off. Campbell would be stepped up in December 2015 against Mendy, in a fight designed to fast track him to World honours. Mendy however, didn’t read the script and knocked down Campbell in the fifth round with a left hook, en route to a deserved unanimous points win. Campbell has rebounded from this setback well. He immediately challenged for the vacant Commonwealth Lightweight Title and stopped Gary Sykes in two rounds. He then outpointed former World Champion, Argenis Mendez, having to recover from a second-round knockdown to do so. Derry Mathews was knocked out in four, and Jairo Lopez stopped in two as Campbell’s road to redemption gathered pace. These performances led to a WBA Title eliminator, set for Wembley Stadium in April 2017 against Darleys Perez, who had twice unsuccessfully challenged for the belt before against Manchester’s Anthony Crolla (1 draw, 1 TKO loss). Campbell again impressed, forcing Perez to withdraw in the ninth with an injured arm. Next would be a dream shot at the World Title. Campbell travelled to Inglewood, California to take on the Venezuelan pound for pound star, Jorge Linares for his WBA Lightweight Title. Campbell again was dropped in the second and also cut, but he rallied and put up a spirited effort to take Linares to the wire, eventually losing out via split decision. Since that September 2017 night, Campbell has been kicking his heels, waiting for another opportunity while Mikey Garcia decides whether he will come back to the Lightweight division. He has fought once since, in May, in a tick-over fight, stopping Coventry’s game but limited Troy James in the fifth of a six rounder at the O2. Old foe Mendy now stands in Campbell’s way of a shot at the prestigious WBC belt, which will likely lie vacant. Mendy will be buoyed by his form since the Campbell victory and will come to Wembley with even more confidence than before. A professional since 2006, Mendy has steadily built himself into a contender. A run of twelve straight wins ended in May 2008 when a 7-6-4 Abdoulaye Soukouna outpointed him over six. Mendy bounced back with nine straight wins before re-matching Soukouna, this time over ten rounds, in April 2011. Mendy still couldn’t turn the tables and had to settle for a draw, following a three-way split of scores. The trilogy took place two months later, with Soukouna unanimously winning on the cards this time. 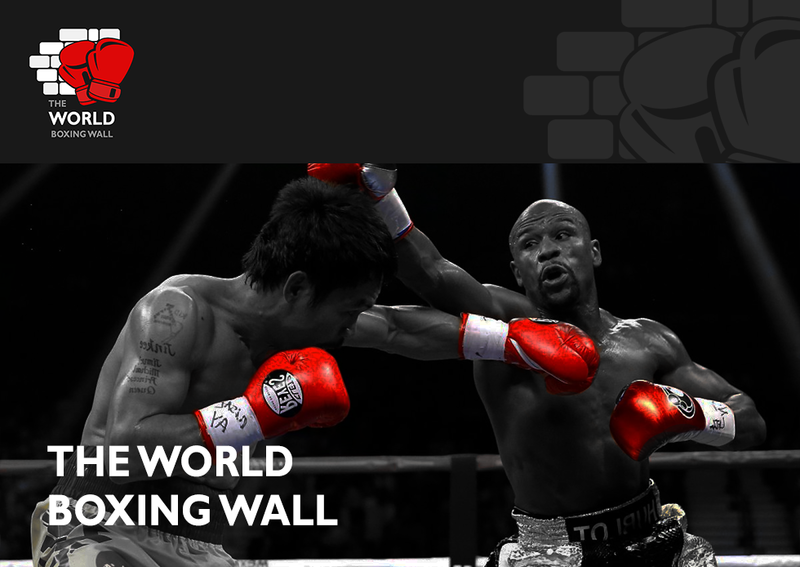 Four comeback wins were notched, before the world-class Viktor Postol widely outscored Mendy in Kiev in June 2012. This time he scored five wins on the comeback trail, leading to a shot at the European Lightweight Title. He would have to travel to Finland to take on Edis Tatli for the vacant Title, and he was handily beaten on all three cards to hand him a fourth career defeat. This defeat, one would have thought, would have closed the doors to any high company for Mendy, but three fights later, he took the undefeated record of Campbell with an eye-catching display in London. Since that night at the O2, Mendy has racked up another ten wins, all in his native France. This makes it thirteen in all since his last defeat, and he will arrive in London in great form. I expect Campbell to learn from the mistakes of 2015, and produce a much more polished performance this time around. Mendy has never been stopped in over forty fights, and I don’t expect that to change. The pick is for Campbell to win clearly on the cards.